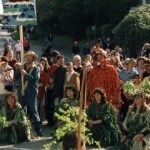 Tradition has it that early on Flora Day morning, youths go to the neighbouring woods to collect branches of sycamore. 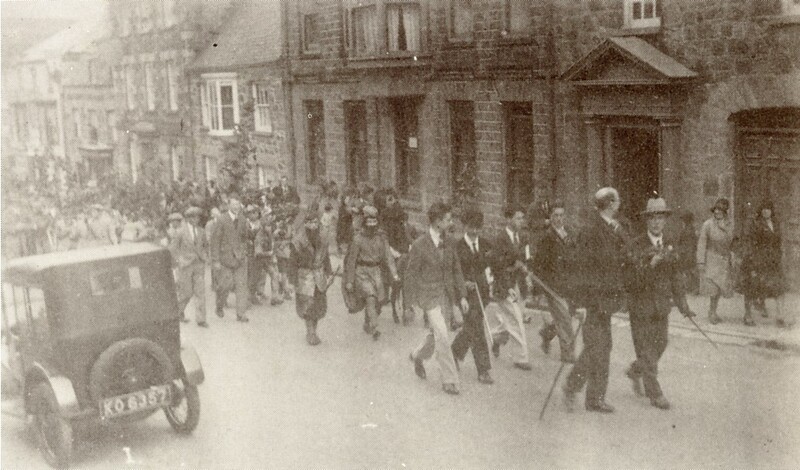 On there return, they are joined by other young people, dressed to represent the characters in the Hal-an-Tow song. 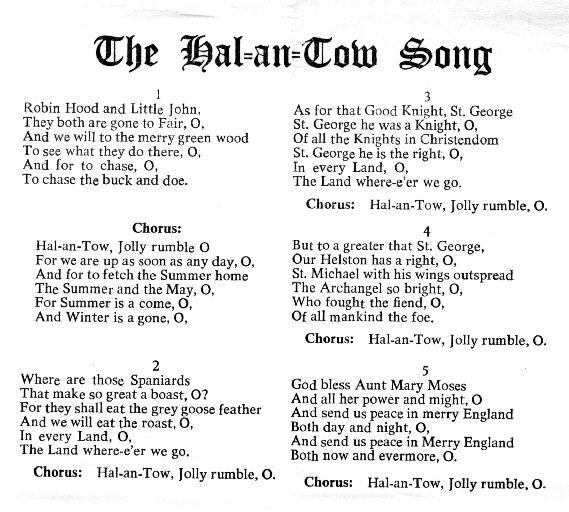 They tour the town, stopping at various vantage points to perform the song and act out the pageant. In the 19th Century, the Hal-an-Tow was abandoned, but it was revived again in 1930 to add its own colour and excitement to Flora Day. 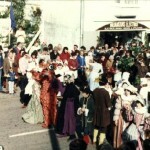 The `Hal-an-Tow` Pageant is an integral part of the Flora Day celebrations. 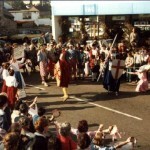 Starting at around 8am at St John`s, the revellers make their way around the town to desginated points to perform the ritual. 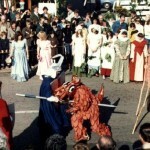 From Robin Hood and Little John, St George & the Dragon, St Michael & the Devil to the Spaniards of Mousehole, all reinact the battles of `good defeating evil`to `drive out the old and welcome in the new`. Spring is upon us!